Ever wondered how book cover designers do what they do? How do they take a concept and turn it into a book cover? In today’s post, we’re pleased to have Dane Low of Ebook Launch explain to you how he does it. Be sure to watch the video, too. I think you’ll find this interesting. 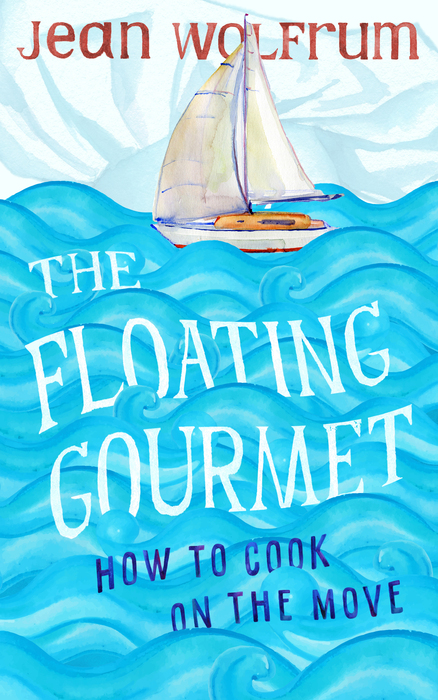 The video below shows behind the scenes of a book cover design for The Floating Gourmet (available now on Smashwords). It works its way through the entire process from photo selection, photo manipulation, font choice to the completed concept. My hope is that it gives you some insight into what it it’s like behind the scenes of the book cover design process (at least the way that we do it at Ebook Launch). Description of your book: This book is about cruising the oceans, traveling and cooking gourmet meals while under sail. It is the story of a couple’s once in a lifetime dream to sail the Transatlantic Circle for one and a half years away from family, cell phones and WIFI. The adventure is chronicled with life on the ocean for weeks, relationships of people on the boat, meal preparations and enjoying regional foods and gourmet meals on a boat. Describe the key elements you want for your book cover design: The image of a sailing boat on the ocean with beautiful sunsets is what I picture. Anything nautical with some images of food – fish, clams, pasta dishes etc. I can tell this book is very unique and I wanted to create a unique cover to match. It’s been executed in a dreamy, whimsical style which speaks to the lifestyle aspect of the story. The couple is ‘living their dream’ of cooking and sailing their way around the world. After sending the first concept to the author, the feedback was that she actually did not want something this whimsical (doh!). What she wanted was something more clean and contemporary so we went back to the drawing board. The lesson here is the importance of understanding the aesthetic that the author wants before creating the concept. The time spent on the original concept could have been saved if I had done a better job of clarifying with the author before getting started. A good way for designers to accomplish this is ask the author to provide examples of covers that they like that are within the same genre. Once I did a better job of understanding the style that she was after and got some samples, the result was the approved cover below. Dane Low is a co-founder of Ebook Launch, a Book Cover Design and Book Formatting agency. He’s also a regular contributor to The Book Designer’s monthly e-Book Cover Design Awards contest. What a fascinating process! It’s called cover art, but it truly is art. Thanks for sharing! Both designs are really well done and demonstrate how a concept can be realized in such different ways. The second “approved” design seems far more contemporary, and for that reason i like it better. What I think the author misses out on in the second, though, is the connection to food that the first offers, which seems critical to a cookbook. Of the two designs, I preferred yours also. The other one was a bit too plain but you did what your client wanted and if they’re happy, it’s their book, right? What I was most interested in was your technical process and the license aspect of those graphical elements and fonts. Since you altered most of those elements, do you still have to buy a license to use them? And when I saw you took individual letters and altered those, I have the same question because I know many images and fonts we can find online, even if they’re on a “free” site, still have restrictions on use and modifications. So I’m really curious about this aspect and would love any insight you can give. Thank you for your comment and question, Nancy. Definitely, the author has to be happy with the final concept for their book and proud to show it off. That’s the most important thing. I assumed you were buying licenses but thanks for confirming that. And I agree with your last comment. It’s not worth taking a risk on copyrights. I like the whimsical cover, except for the food items bobbing on the waves. I like other cover also, and it might appeal more to the target audience, who are the ones that count. The time lapse video was very cool. I wished I could slow it down for a better look at some of the steps. The most intriguing takeaway for me was your text process. Obviously, you didn’t click on the text tool, pick a font, and type your text. Were you cutting and pasting individual letters from a jpeg font sheet? Where do font sheets like that come from? (Not the stork, presumably 🙂 ) How did you put the individual letters into a unit that you could reshape? And can the same technique be performed in low budget software like Photoshop Elements? The video was too small for me to see what software you were working in. The fonts for this cover were vectors from Shutterstock rather than traditional fonts that you install. When opened in Adobe Illustrator, each letter can be selected separately, copied, moved, the color changed etc. Then I copy and paste each word from Illustrator into Photoshop and manipulate further from there. I hope you can recycle the whimsical cover for another book. Hmmm… One down-side to the individual-letter technique would be that you can’t just click on it and edit the words or change the font as you can with the text tool. But the effect is sure worth the extra trouble. And hopefully the title and author name won’t change after the cover is created. The first cover is way more appealing. Anything that makes the audience smile helps sales. The second cover is pretty but lacks soul. She would have been better off setting her ego aside and going with something a little different and more marketable. Funny, I prefer the whimsical cover too. It has such lively movement and is very clickable (though I don’t sail or cook ;)). Thanks for sharing your process! My pleasure, Lena! Thank you for your comment. I also prefer your first cover. I might not buy the book, but I would at least look. Perhaps the real lesson is that authors should trust the professional opinion of the experts they hire. Your time-lapse videos on cover design are an amazing insight into all the work that occurs after we (authors) click the submit button and send the designer our concept and ideas. I’m always amazed how a talented designer like yourself can take a concept and bring the authors vision to life. You know, I also prefer the whimsical one as well, and that’s the cover that says, “Read me!” if I see it on Amazon. Thank you for the kind words, Alan. I’m glad to hear that you find value in the time lapse videos, your feedback encourages me to create more!